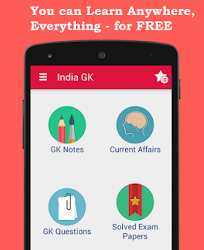 1, 2 February 2016 Current Affairs MCQs, Quiz, Questions: Current Affairs for February 2016, Daily Multiple Choice Questions (MCQs) for India GK, World GK and current affairs with Collection of daily objective type Question by www.Indiagk.net based on General Knowledge (GK) and General Science (GS) Questions for UPSC, State PSC, SSC, Police exam, Railway exam, SBI, Bank PO, IBPC, SSC, LDC, UDC, Army, Airforce, Navy, Coast Guard, Bank Clerk, TET and all entrance examination with current affairs News, Multiple Choice Questions (MCQs) available on Website www.IndiaGK.net and Android Apps with daily updates:. Which State government on proposed 50 per cent reservation for women in government jobs in the interim budget presented on 1 February 2016? 30th edition of the Surajkund International Crafts Mela began at Surajkund in Faridabad, Haryana on 1 February 2016 with which state as its theme? What is the theme of the World Wetlands Day that was observed on 2 February 2016? Who was appointed as the Managing Director and Chief Executive Officer of Corporation Bank on 1 February 2016? Which social legislation on 2 February 2016 completed ten years of implementation? Name the IPS officer who on 1 January 2016 became the first woman to head a paramilitary force.